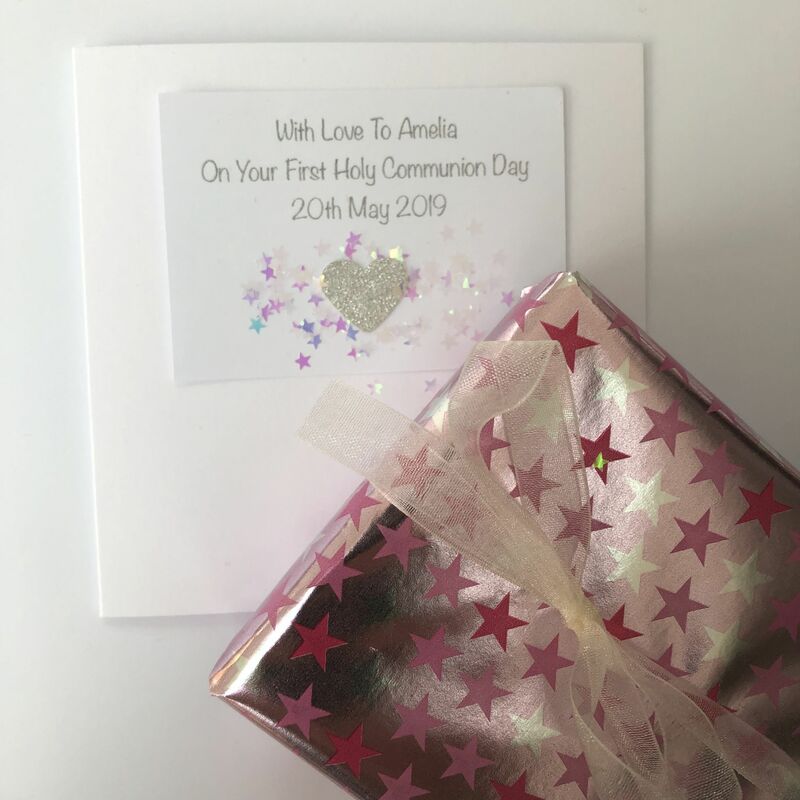 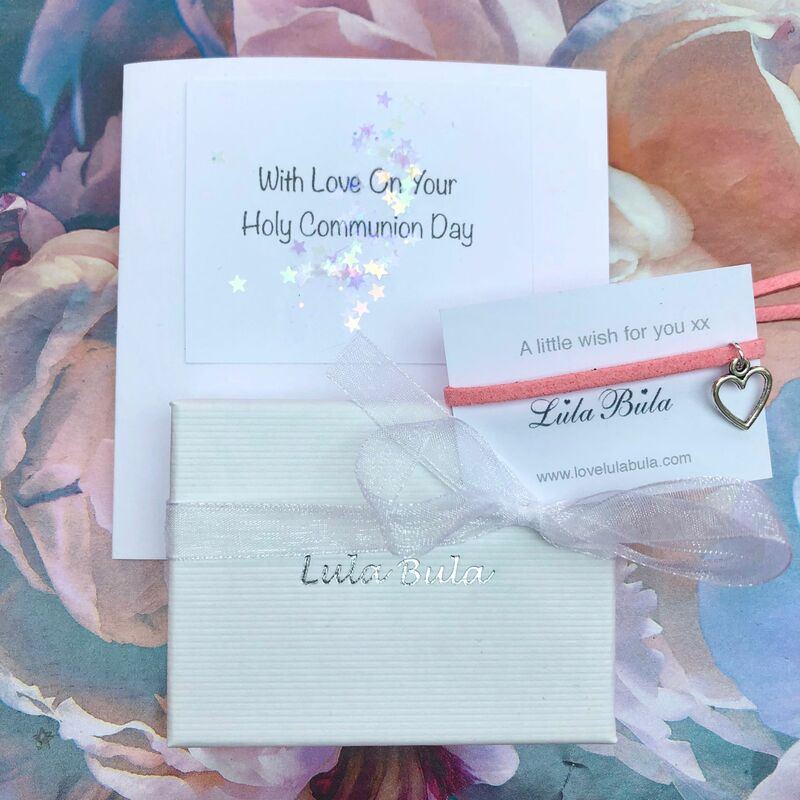 Our beautiful personalised sterling silver First Holy Communion day necklace has a gorgeous, delicate silver guardian angel with cubic zirconia detail, a delicate silver cross and a gorgeous sterling silver heart tag with the words 'First Holy Communion' a cross and the date of the First Holy Communion day engraved on the front (for you to add the date of your special girl's First Holy Communion day) it is blank on the back so that it can be personalised with engraved names / message of your choice. (A Maximum of 50 characters can be engraved on the back). 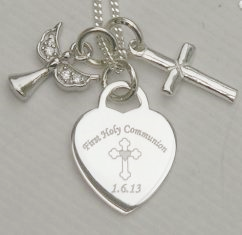 The engraved heart measures approx 1.4cm x 1.3cm, cross measures approx 1cm x 1cm, angel measures approx 1cm x1cm. 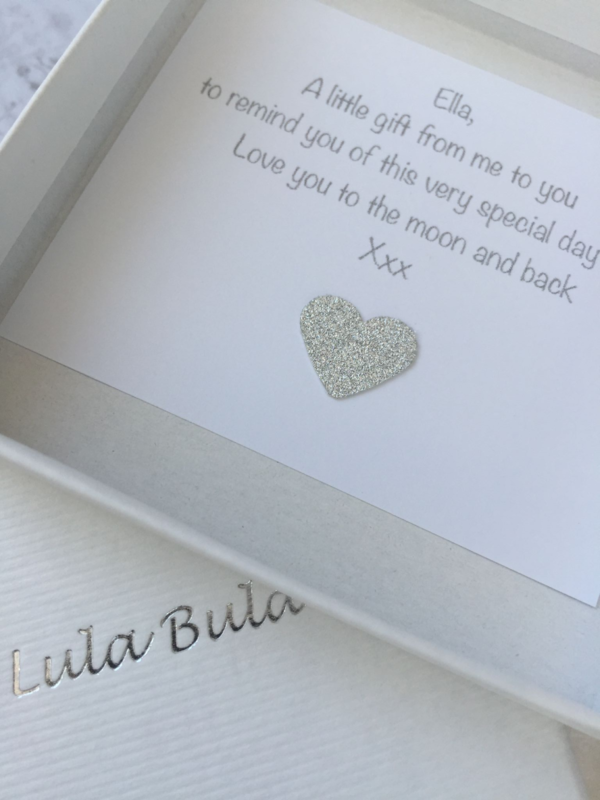 just thought would drop you a line to thank you for the quick turn around of this item and also how pleased I was with the necklace to see my Grand daughters face when she opened it and saw the personalised message engraved on the heart was lovely .